Succession Planning - Thompson Law, P.C. What you do today with your money is going to shape your financial security in the future and is going to determine what kind of a legacy you are able to leave behind. Unfortunately, people at all income levels end up making mistakes about money, or fail to make the right plans to make their money work for them. Thompson Law, P.C. can help to make sure that you don’t end up losing out on the fruits of a lifetime of labor because you didn’t make a financial plan. When is Succession Planning important? What should be a part of the Succession Planning process? How Can a Sioux Falls Succession Planning lawyer help you? Succession Planning is important as soon as you have income you are earning or as soon as you have assets to protect. Whether you’ve got your first job, have saved a nest egg, have received an inheritance, or are trying to make your retirement money last, you need a financial plan. Without one, your money could be lost due to mismanagement, careless spending, lawsuits or claims against you, or simply being spent without thinking on life’s needs and wants. There are tools designed to help you succeed financially, such as IRAs that give you tax benefits for saving for retirement. There are also tools like trusts that are intended to keep your wealth safe and secure so you don’t lose what you have worked for. It is up to you if you want to make use of these tools to make a succession plan that can provide you with financial security and that can allow you to shape and change the trajectory of your family by building lasting wealth. 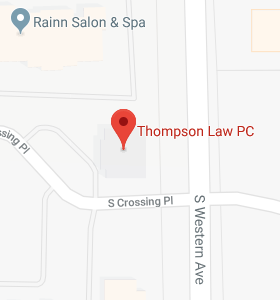 Let Thompson Law, P.C. help you to make use of the tools that can allow you to live without financial worry. The establishment of savings goals. Thompson Law, P.C. will work with you to make determinations regarding how much to save. The automation of a savings plan. If you pay yourself first and make it automatic, it becomes easier to save and accomplish your dreams. The use of appropriate investment vehicles. IRAs and 529 accounts both provide protections for your investments and provide tax advantages. Thompson Law, P.C. helps you to determine what kinds of accounts can help you more easily achieve your financial goals. The use of tools like trusts for asset protection. Your wealth is vulnerable to lots of potential sources of loss, but Thompson Law, P.C. will help you with risk identification and risk mitigation. Tools like trusts keep wealth safe in case of claims against you; estate tax after death; and high nursing home care costs which most insurers do not cover. The use of estate planning tools. You need to continue to make smart financial choices if you hope your wealth will provide ongoing financial security to your family members after you are gone. A will may not be enough for you to accomplish your goals of providing for and protecting your family, so Thompson Law, P.C. helps you to make use of the right estate planning tools. These are just some of many different components of a Succession Planning that allows you to grow and protect wealth. Thompson Law, P.C. helps with the creation of a personalized plan that you can actually carry out to achieve your dreams. How Can a Sioux Falls Financial Planning Lawyer Help You? Your money should work to help you achieve the life you want, but it can only do this if you use the right financial tools. Thompson Law, P.C. has helped many clients in South Dakota, North Dakota, Minnesota and Iowa to make the right plans for their money, regardless of their incomes or current wealth levels.